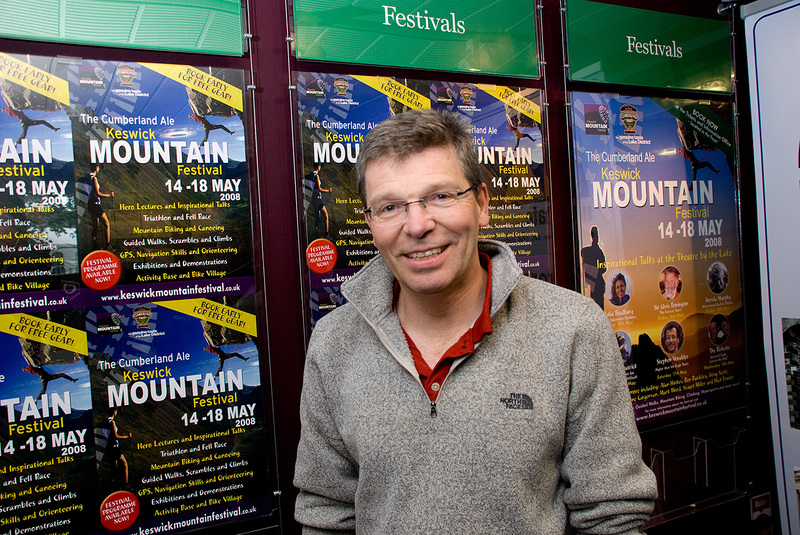 At the Keswick Mountain Festival 2008. Michael "Mick" Fowler (born 1956 in London) is an award-winning British mountaineer and author. He was voted the "Mountaineers' Mountaineer" in a poll in The Observer and, with Paul Ramsden, won the 2002 Piolet d'Or and Golden Piton awards for their ascent of 6,250-metre (20,510 ft) Mount Siguniang in the Qionglai Mountains in the Sichuan Province of China. In 2012, he was awarded the King Albert award for his "outstanding contribution to mountaineering", and in 2013, he and Paul Ramsden became the first pair to win a Piolet d'Or award twice after their ascent of the 6,142-metre (20,151 ft) Prow of Shiva in the Indian Himalayas. Respect!